* “You are holding in your hands a living classic. Never have I read a children's book so packed with entertainment, education and motivation. 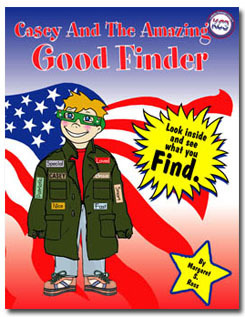 Every page has a lesson on patriotism and character building. I enjoyed it when I read it and even more when I reread it. In all my years of teaching people to love to read and the importance of books, I've never read anything quite like it. It is truly tremendous and young and old are going to love it.” - Charles E. Jones, CPAE and author of "Life is Tremendous"
Available on Amazon. Click on the picture above. 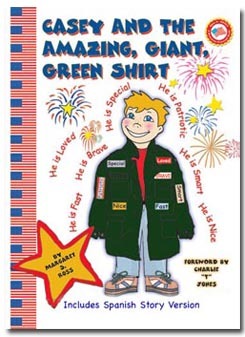 IMPORTANT: To order Casey and The Amazing Giant Green Shirt $9.99 +, Click here. Available at Amazon.com. 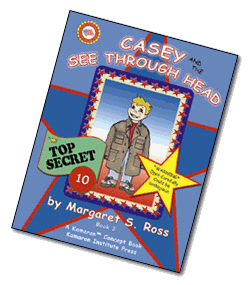 Click on the book picture above.